Note: Yes it's been a while since I've updated this list. There's many reasons why but I can't be bothered going into it. Either way, enjoy the continuation of my Top 100 Favourite Music Singles between 2010 and 2014! So the highest up ranked song by Kasabian on this list is this cracker. This was the main single off their fourth album, and got to no 28 in the charts. Truth be told, there are other songs by Kasabian that I prefer to the three singles on this list, particularly off the “Velociraptor!” album, which, for me, is their best effort. 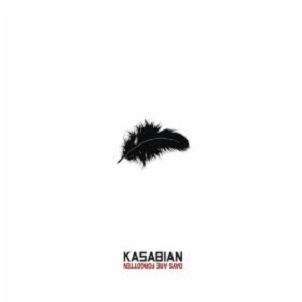 But that’s taking nothing away from “Days Are Forgotten”, which is everything great about Kasabian; a catchy riff, a simple and easy sing-a- long chorus and some fantastic howling in the background throughout, you know, just for kicks. It’s a belter track. If you missed #33 go here.